Recently I've been feeling a little disconnected, physically and emotionally, from the blogging world. The blogging community can be amazing, but there are times when it also feels like the loneliest place in the world. In fact, this week is the first time in well over a year that I haven't posted three times. I didn't feel up to it, or inspired, so I actually let myself skip one of my scheduled blogging days. When it comes to the UK blogging scene, everything is focused on London. I'm in Grimsby, two hundred miles, four hours and two train rides away. Two very expensive train rides away at that. So I don't do events. I can't afford to quite honestly. Unless a brand is willing to help me out, I don't go to London. I haven't been to London for a couple of years, and that was to get tattooed rather than for anything blogging related. I've said no so many times to brands that they've just stopped asking now. When there are events in the North, they are still a couple of hours way but much more do-able, but I don't get invited. London is a place that brings opportunities a small town never will, and I've struggled with that recently. When you live physically so far away it's easy to feel like you're invisible. No amount of social media work can make up for the fact that you're just a face on a screen. When others can catch up and chat in person, it feels completely different to emailing back and for. It can be hard to accept that sometimes location really can be everything. I'm never going to leave my hometown, it's where I'm meant to be, and that means there are some things I'll never be able to do. I can be a little bold, a little abrasive, I'm more than happy to call out brands when they screw up, and I know that means brands aren't going to be so happy to work with me because my honesty can be risky. But I'd rather be honest and authentic and feel like I'm being true to myself and never work with a brand again. 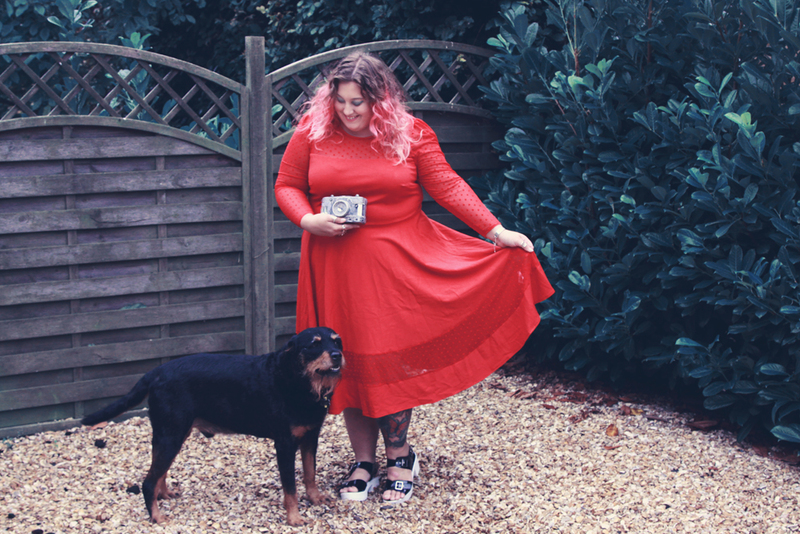 So much of our blogging self worth seems to rely on who will work with us, and it's important to remember that your voice is yours, and that's what makes you a wonderful blogger, not the brands who work with you. I had a bad day over the bank holiday weekend, doubting my voice, doubting my self worth, and wondering if anyone even cares, or if I've made a difference to anyone. 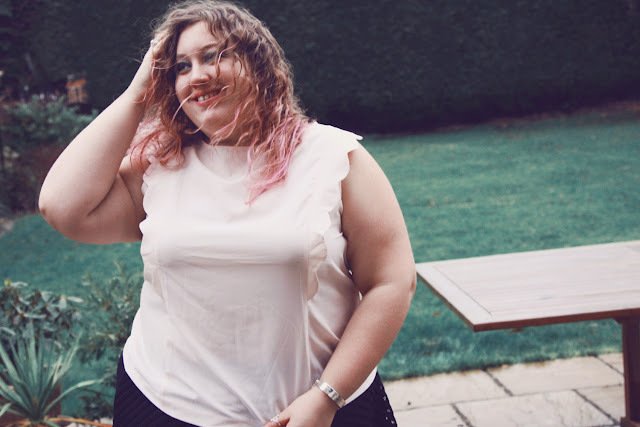 Ultimately that's why I do this, because I wish I'd been able to see plus size bloggers in the media when I was growing up so my journey to self love could have been a little easier, and it's why I now share my story and my loves and my style. And it's important to remember why you do this in the first place. Whether it's one person or one hundred, it's so worth it if you can help someone on their way. The blogging community can feel so tight knit, I've made some wonderful friends, but at the same time, when you don't see people more than once a year, it's easy to feel forgotten. I have a lot of anxiety related to social situations and friends, so it's hard for me to process the realities of what online friendships really mean to me sometimes. I know that realistically, I probably think I'm better friends with people than I really am, it's how I've always been. I'm a very all or nothing kind of gal. Trying to focus on my real life friendships rather than the ones that pretty much live exclusively in my computer, is so important. I've been trying to spend more time outside my house, away from my phone and laptop, more time with people I can see. I love the blogging community, but it's important to remember that it's not always real life. Sometimes for my own mental health I just need to step away from the internet for a few days, and that's ok. Sometimes it's scary to think about stepping away for a few days because the blogging world moves so fast and your page views can be impacted, but you have to self care first. I recently spent some time unfollowing nearly every brand I follow on instagram and trying to make my feed more positive. The algorithms on it are so messed up that it can be really hard to see real people when brands get so much more of a push on their platform. I was initially concerned that I might upset brands by unfollowing, but when they have hundreds of thousands of followers, I'm just a small drop in the ocean. Unfollow people who don't inspire you, or who bring you down. Sometimes people can be trigger for you, so remove them if you have to. Muting people can be a great tool on twitter, you can mute people you follow so that their tweets don't show up in your stream, but you don't risk any drama by actually unfollowing them. You can also mute people you don't follow so that you don't have to block them, so even if people retweet them, you won't be able to see it. I tend to use this option a lot, when someone has blocked you, if you go on their profile you can tell, if you mute them, they can't. You have to do what you need to do to protect yourself on social media. Know that most bloggers have self doubt, and that we feel left out, and that we are miles away from other bloggers, whether physically or emotionally. Blogging can be lonely when you are left alone with your laptop cooped up in your house, so visit those friends you can physically hang out with. Take that walk and go outside. I like to just hang out with my husband, walk our dog, drink a soft drink in our local with our friends, go sing along to a cover band, or watch trashy tv curled up with our cats. It's OK to feel disconnected from the blogging world, you just have to reconnect to what really matters to you. I get this so much, I don't actually live far out of London but struggling getting in for events because my work is so hectic and I can rarely get the time off. I've also found that people I thought were my friends just don't get back to me anymore, probably because I'm not showing my face in London at every event. 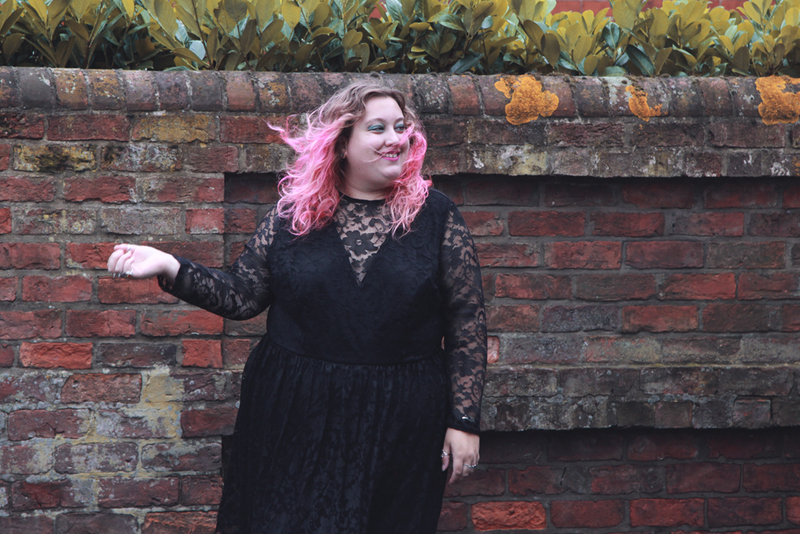 It's sad, but ultimately I blog because I love putting outfits together and, hopefully, inspiring other fat women to do the same. You just have to keep mind of that and not get dragged into the brand competition thing. I can relate to some of this. Being in Scotland I miss most of the big events, but hey ho. Sounds like you maybe just need a break to recalibrate. Bizarrely after sharing this I gave myself a real kick up the bum and have been writing like a wild woman over the weekend! What an important post. I'm glad you have found ways to navigate and cope with feeling left out or forgotten.